Monday night CMT teamed up with Regal Green Hills Cinema to hold a “sneak peek” screening of the new movie Hit & Run and invited Nashville Lifestyles to come along! Produced by the hilarious minds behind Wedding Crashers, the movie stars Kristen Bell, Dax Shepard, Kristin Chenoweth, Bradley Cooper, and Tom Arnold swept up in a love story/action flick. Think something along the lines of love story meets high-action chase. Add in a crazy, unpredictable, sometimes violent excursion and you’ve got Hit & Run. Never a dull moment! Real-life and extremely likable couple Kristin Bell (Co-host of the 2012 CMT Music Awards) and Dax Shepard showed off their genuine chemistry in the off-beat romance, but in my opinion—hands down—Tom Arnold stole the show! He had the audience laughing at nearly every scene. 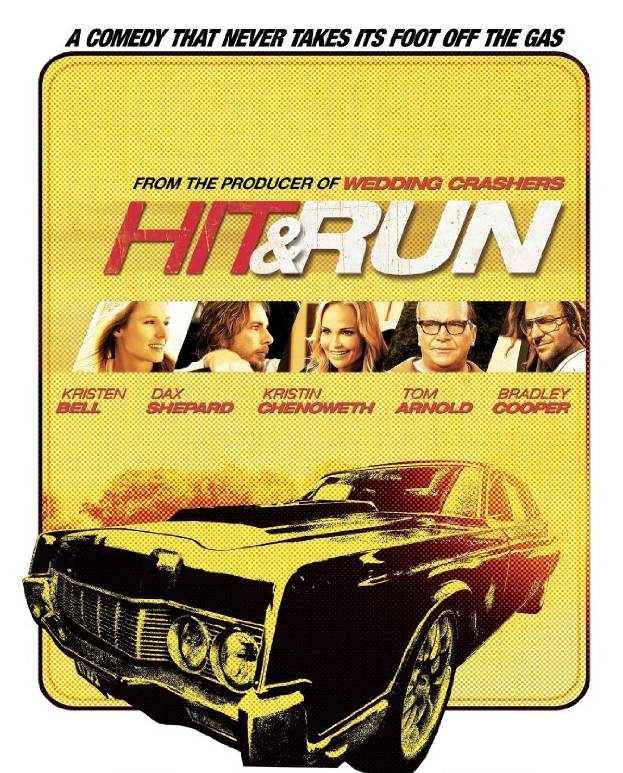 If you’re looking for a good laugh or an action rom-com, go see Hit & Run. The movie opens today, Wednesday, August 22—click here for showtimes. Make it a date and stop in to Table 3 before or after the movie to have a quick drink or delicious dinner on their patio! If you didn’t have plans for Wednesday night…well, now you do. You’re welcome. Somewhat irrelevant to the movie, but if you are not one of the 12 million people who have viewed this youtube video (not an exaggeration) of the always entertaining Kristen Bell’s 31st birthday sloth meltdown…amazing, please watch! Dax, good luck topping that for her 32nd. Ok, this isn’t me. Trying to take pictures while zip lining at night doesn’t work so well. You get the idea. Essentially the first guide would whiz to the end and be there waiting for you. Then, we climbed up on the platform and strapped ourselves in for the ride. My first zip was a little foreign; jumping into the pitch black forest hanging from a cord… I mean talk about a rush! After that I got the hang of things. With each jump my confidence rose—and so did the height and length of the jumps. At one point we were rushing over three-football-field lengths, going thirty-five miles an hour. So exhilarating! I am most definitely going back in the fall to experience this during the daytime. 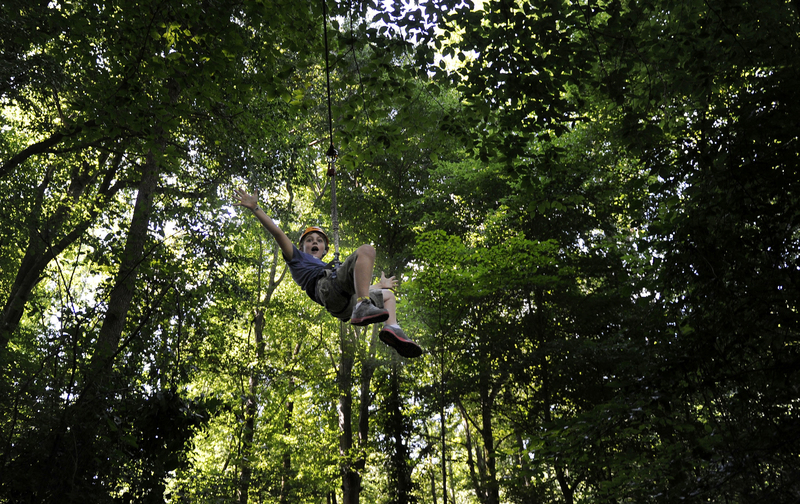 Over at Adventureworks there are a variety of challenge courses, swings, leaps and of course zip tours to choose from: Full Moon Zip, Polar Bear Zip, Sweetheart Zip, Firefly Zip, and Haunted Forest Zip. Not your typical weekend plans, but my advice—check it out! See the August events calendar on NashvilleLifestyles.com for more fun in Nashville this month!